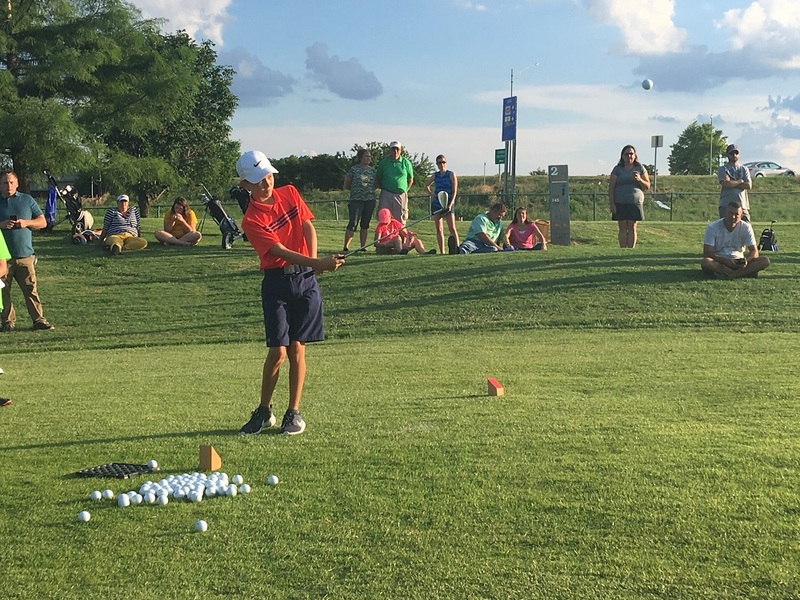 Nearly 60 kids competed in the inaugural Ozarks Junior Pitch, Chip & Putt Championship presented by B&T Electric, Panda Trucking and Freedom Bank, with 18 golfers advancing to the finals. The Monday night event, held at the Betty Allison Family Center at Oscar Blom Golf Course, was part of the PGA Web.com Tour’s Price Cutter Charity Championship presented by Dr Pepper. 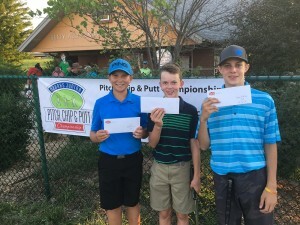 The top three finishers in each age division advanced to the finals, set for 6 p.m. on Monday, July 23 at Highland Springs Country Club. The division winners will be introduced on the 18th green following play on July 29 of the PCCC. The set-up was simple: Each golfer scored 10, 20, 30 or 50 points if their shots fell within a bulls’ eye target on the greens. 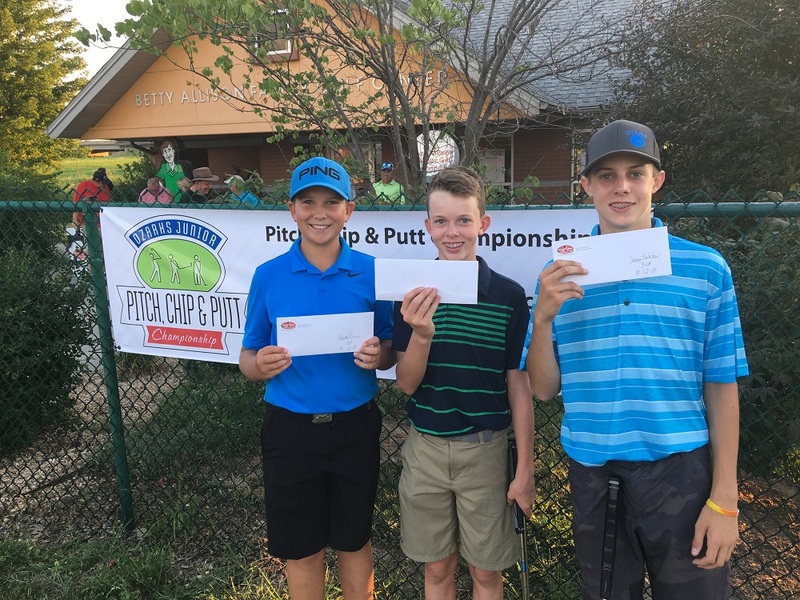 In the boys 12-14 age division, Owen Crain had the night’s best score, a 200, edging Max Bowman by 10 points while Devun Salazar carded a 160 for third place. In the girls division of the same age category, Lyla Louderbaugh (110), Marlee Edgeman (60) and Emma Howard (40) advanced to the finals. In the girls 9-11 age division, Kaydence Yockey (160), Delaney Daniels (130) and Page Bowman (120) qualified for the finals. Meanwhile, Owen Buerke turned in a 150 and Jackson Crocker and Hudson Feurbacher each carded a 130 in the boys division. In the boys 6-8 age division, Amos Berzack (120), Clark Hubbard (80) and Schen Fronce (80) advanced to the finals. In the girls 6-8 age division Laylah Bates (110), Zoe Williams (100) and Taylor Mann (50) advanced. Each player received a visor, backpack, golf balls and three tees as well as four daily badges to the PCCC, which is July 26-29.